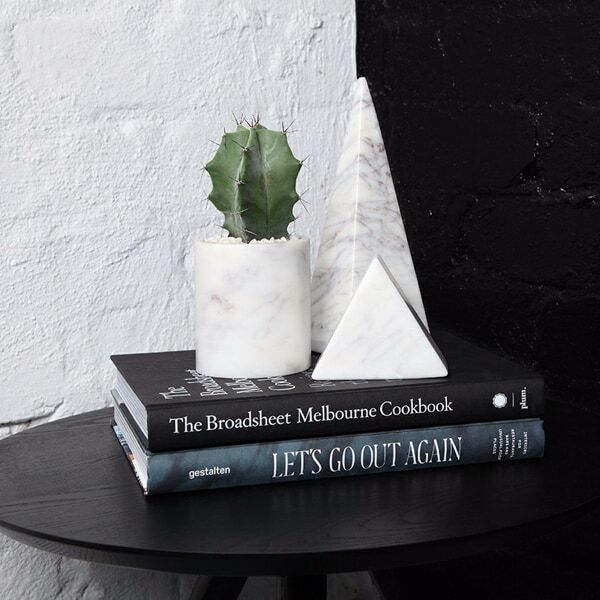 The Marble Obelisk is a sculptural centrepiece. It makes a striking paperweight and can liven up shelving or a bare table. Place two either side of a fireplace for a contemporary play on a traditional decorating concept. The Marble Obelisk looks stunning amidst a collection of meaningful objects, like your favourite vase, family heirloom or photo frames. Handcrafted honed natural white and grey marble. 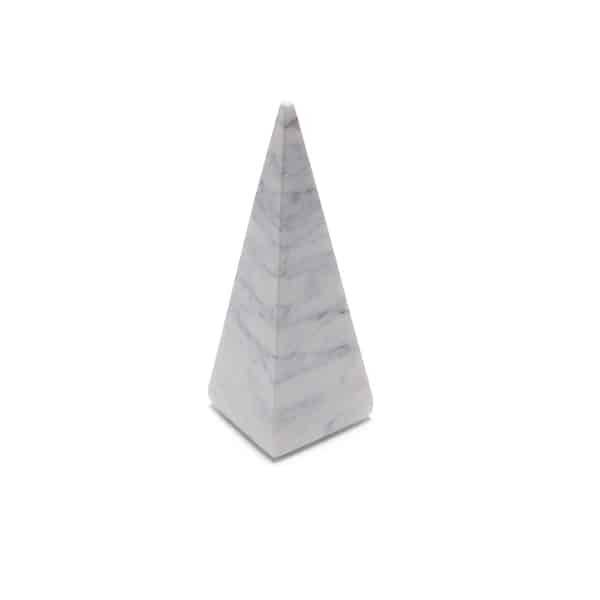 * The top of the Marble Obelisk has been slightly rounded to soften the sharp pointed tip. * When purchasing from our online store our customer service team will select your piece. If you would prefer to hand-select your item please visit us in-store.